Konga Affiliate is one of the best affiliate programs every Nigerian that wants to start earning online should join. It is just like the Jumia affiliate program, a platform that will help you earn money online promoting thousands of regular products. Maybe you don't understand what I mean by regular products, well I meant those products you use daily at home. 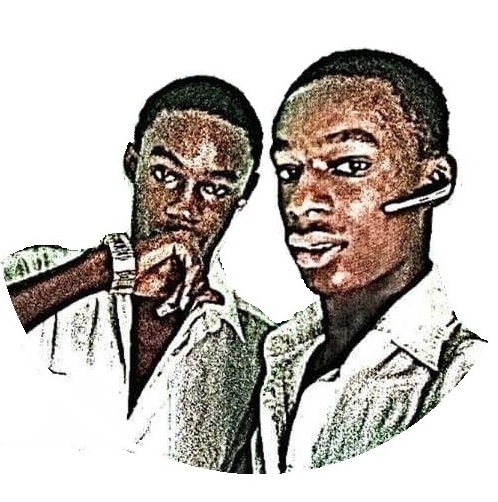 Virtually, almost anything can be seen on Konga, starting from the clothes, to the cooking utensils, to books and not forgetting the toys, perfumes, gadgets and computer accessories. You can visit the Konga homepage to explore the thousands of products available for purchases there. Konga.com is a top Nigerian eCommerce shop that was founded in July 2012 by Sim Shagaya with its headquarters in Gbagada, Lagos State, Nigeria. It offers first-party direct retail which includes various categories like books, children's items, fashion products, home appliances, electronics and personal healthcare products. In January 2015, Konga.com was ranked as the most visited Nigerian website by Alexa rankings and as at the time of this article, they are ranking 45 in Nigeria which is better than Jumia.com. They provide affordable and original products from different sellers and offer discounts on special occasions. - KongaPay: KongaPay was launched in 2015 and it helps customers pay for purchases easily through most Nigerian banks. It was established in partnership with many Nigerian commercial banks and has done great in eliminating the uncertainties customers face with pre-paying for goods and services they are yet to receive. - Konga Express: The Konga Express is an innovation by Konga that helps hasten the delivery of goods to customers. According to them, goods can now be delivered within 1 - 3 days. - Konga Self-Fulfill Model: The Konga Self-Fulfill Model is a major upgrade that makes it possible for Konga merchants to have great shipping agreements negotiated by Konga with reputable courier partners. The management of the parcels are controlled by the sellers and buyers with this, expect faster and more flexible deliveries. - Konga Marketplace: With the success of the Konga Mall, Konga.com launched the Konga Marketplace that makes the platform more flexible for sellers. With this new innovation, even roadside vendors and big supermarket owners can benefit from the platform. - Konga Affiliate Marketing: This is what we're here to talk about, how you can start earning from Konga without having a physical shop or even products. Konga has prepared an amazing affiliate program that helps people earn commissions when they promote any of the products from their thousands of available products. Joining the affiliate program is very easy, all you have to do is to visit the sign-up page and input your data, the approval takes less than 3 working days. The final stage is to accept the terms and conditions and then hit the sign-up button. The Konga team will get back to you in less than 3 days. I think they approve everybody, or at least I've not heard that they rejected anyone's application before so it's worth giving a try. 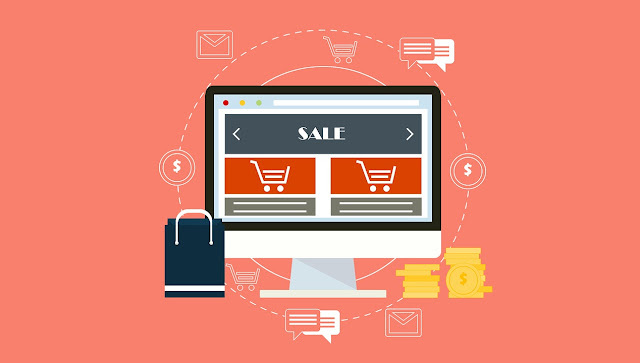 As one of the affiliate programs in Nigeria, you can easily generate sales by inviting your friends to purchase from the platform. 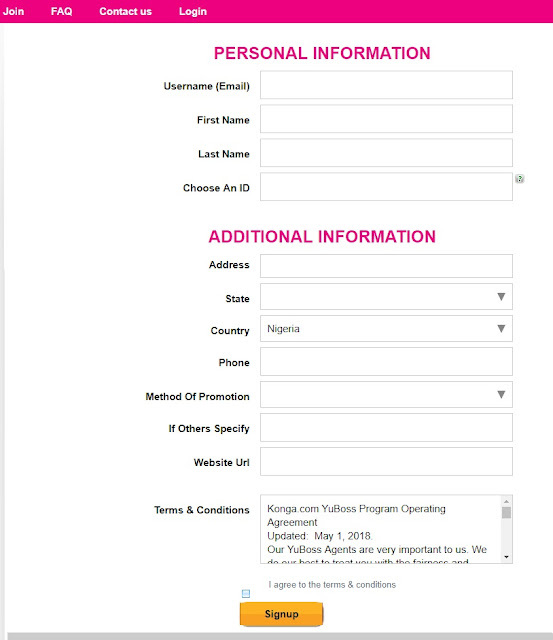 All you have to do is to log into your Konga dashboard, copy the link to the product you want to promote and past it in the link-builder. It'll automatically generate a special link that will track all your conversions. That will be the link that you'll be sharing to your friends and followers. - Word of mouth: You can tell your friends about amazing products that you found on Konga, then give them a link to purchase it. Depending on the person, they may or may not know that it's your affiliate link. - Social media: If you have an active Instagram handle, you can post a photo of a watch and direct your followers to a Konga page for purchases. As Instagram doesn't support urls, you can either shorten the link so they'll copy and paste it on their browsers or put it in your bio. Facebook, Twitter, LinkedIn, Pinterest and PepTribe are also amazing places to generate sales from. - Your blogs and websites: if you have a blog or website, then it'll also be a great choice. You can publish reviews of products and give your readers links to purchase them from Konga. - Paid advertisements: You can even run paid targeted ads on blogs and websites or use ad networks. You can check out these 10+ amazing places to advertise your products online in Nigeria, they'll be of great help to . Konga affiliate program is one of the programs you should consider joining as a Nigerian if you want to earn money online. I hope this tutorial will be helpful to you. If you encounter any issues, please don't hesitate in dropping us a comment below. You can start promoting any of the products listed above and i'm sure they'll be of help to you. Before you go, you can check out our post on top 5 ways to generate affiliate sales.